The Asperges in the Ordinary Form? We received the following report and pictures from Fr Kyle Doustou, parochial vicar of the Parish of the Precious Blood, in Caribou, Maine, about the institution of a regular EF in his parish, and some thoughts about the Mass by one of his parishioners, which we are glad to share with our readers. I am the parochial vicar of an extremely large, rural parish comprised of 10 churches in a geographical area of 834 sq. miles in northern Maine. 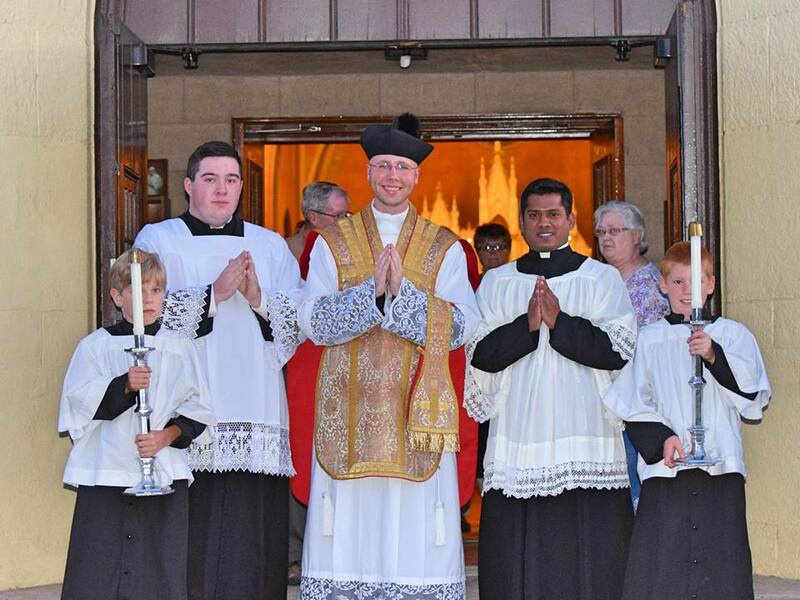 On September 3rd of this year - the feast of St. Pius X - we celebrated a Missa Cantata in the Extraordinary Form with the participation of over 120 of the faithful. This Mass was held at one of our churches - St. Denis in Fort Fairfield - a small, farming community where you’re more likely to see moose or Amish buggies than anything. Since my arrival in July 2014, the people here have been requesting the celebration of the Usus Antiquior, and after obtaining the permission of our pastor, we have been able to begin doing so. As it stands, we will be celebrating the Extraordinary Form on a monthly basis. 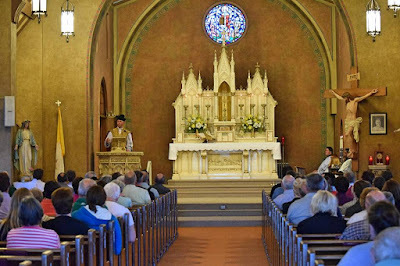 There is enormous support for the celebration of Mass according to the Extraordinary Form even in this rural, north-eastern most part of the United States. Since September 3rd, I have had numerous phone calls and e-mails from people expressing their excitement over this and who plan to frequent our monthly Masses. I’d like to share with you the testimony of one of my parishioners, a wife and mother of 7, who has fallen in love with this form of the Mass. 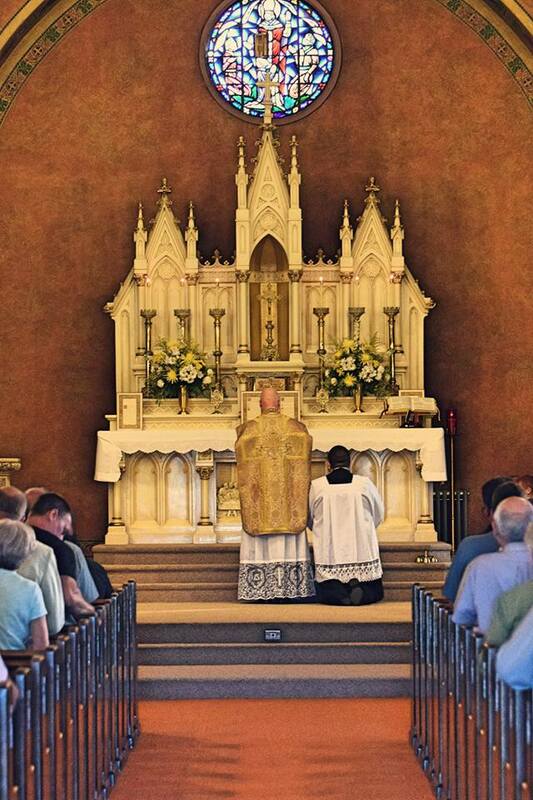 “I had never been to a Latin Mass and I didn’t know what to think. 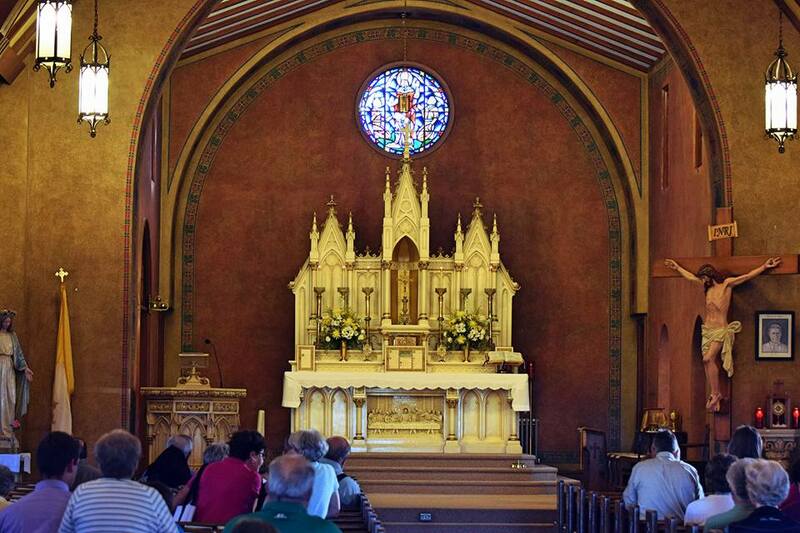 As a convert, my family certainly didn’t talk about the ‘old days’ before Vatican II. Surprisingly, no one in my new church ‘family’ did either. 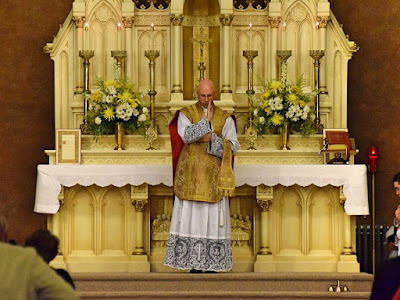 So, when our young, full of the Spirit priest suggested a monthly Latin Mass being held in our parish, I thought ‘there’s no way anyone will come!’ You see, to my mind, it seemed that most people had forgotten everything the Church had been prior to 1968. The weeks leading up were a bit anxious. Would anyone come? I approached my fellow Daughters of Isabella about refreshments after the Mass. The response was overwhelming. “Of course!” they said and the room erupted in questions and ladies saying they couldn’t wait! But, of course, I still doubted. My six youngest children are homeschooled. 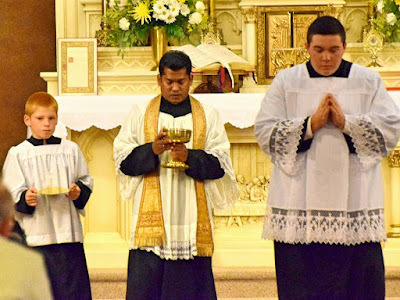 Due to this flexibility in our schooling, our 9-year-old twin boys are learning the Latin Mass. You can’t know where you’re going unless you know where you’ve been, right? Due to this, they were asked to be altar boys. 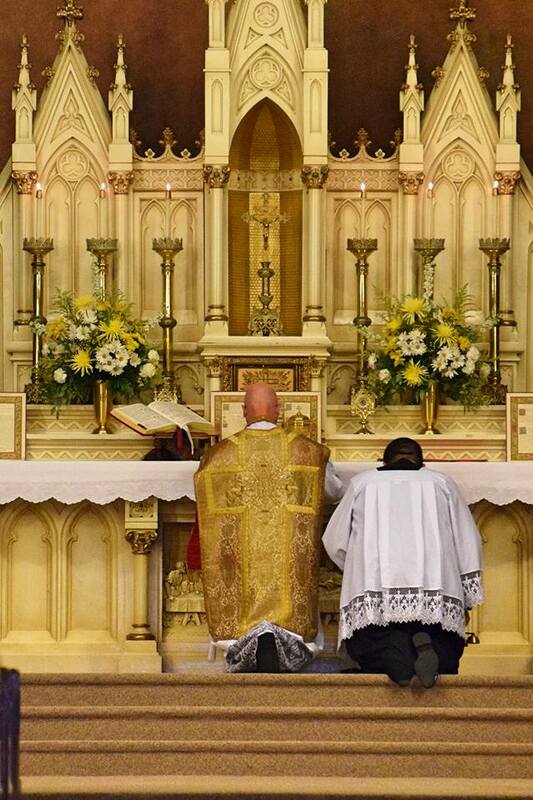 I never imagined that I would see them on the altar, serving a Latin Mass. Never in a million years. Finally, the evening was upon us. When I arrived an hour early to bring the boys, there were many people already in the pews. Would that be all? I stood in the back to hand out missals as parishioners came in. One missal for every two people and the stack of 100 dwindled to less than twenty-five. They had come!! A few faces were unfamiliar, but most were friends. Some I knew would come, but others surprised me with their attendance. 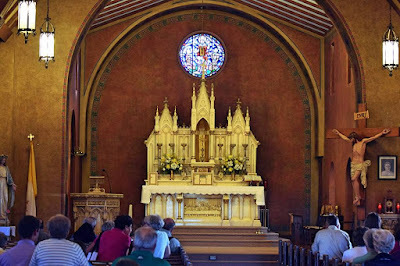 I knew very little about the Mass we were about to attend. What I did know is that I wanted to know more. More about why things were changed, why it was all thrown out and more about why it wasn’t permitted regularly for all those years since Vatican II. I was about to find out. The Missa Cantata was like nothing I had ever experienced in the Church. The smells and the chants made it a heavenly experience. 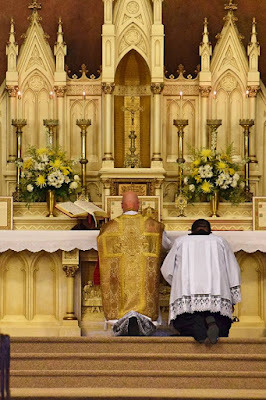 I wondered how I would feel about the priest standing ‘ad orientem’. Would I be able to see? The answer is, no, I couldn’t really, but it only brought home that the priest is offering the sacrifice FOR us, not TO us. The focus was on God. 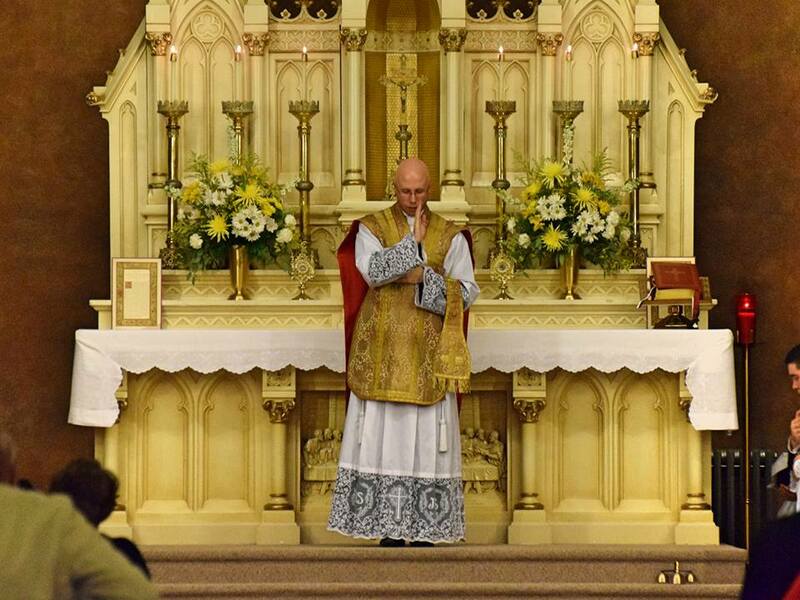 I have and do know several pious, holy priests, but nothing they have ever done spoke to me as this position of the priest during the Latin Mass. All eyes were on God, and it wasn’t something you saw, but you could almost hear the beat of angel’s wings. Yes, it is that profound of an experience. As to my questions prior to the mass, I felt they were answered. I understood why some things were changed, like to the native tongue. Latin is very hard to understand, however with the Latin/English missal available with small illustrations along the borders, it was quite simple to catch up if you had gotten lost. I also understood why it wasn’t permitted regularly - I believe you would have more Latin Masses being said every Sunday than Novus Ordo. It is truly that spectacular. Not spectacular like a show or performance, but spectacular in its reverence and focus on God. There are no distractions. However, the sudden change and acceptance`of the Novus Ordo after Vatican II shows, to me, the dedication of the faithful to our Church and to the Mass. 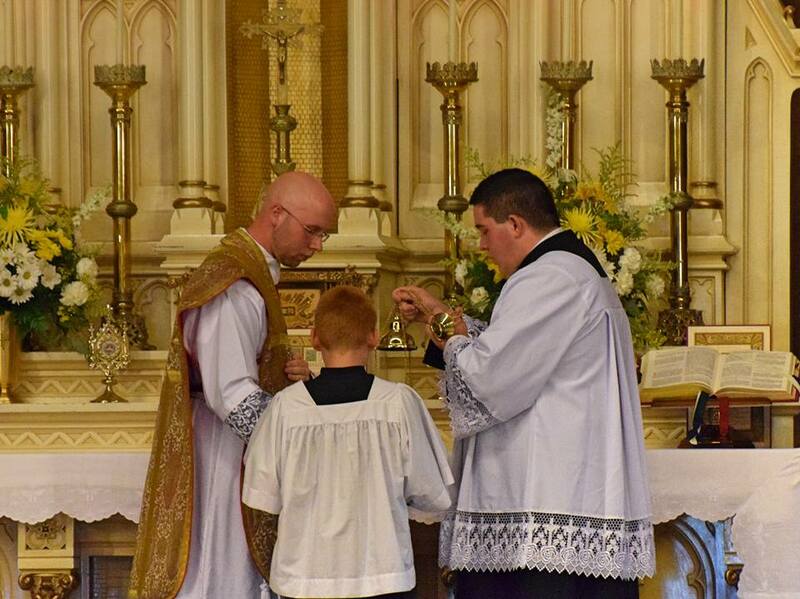 After only attending NO Mass in my 15 years as a Catholic, I am grateful to Pope Emeritus Benedict for recognizing there is room for both forms of the Mass. As I was surrounded by over 120 people at this Mass, I realized how wrong I was to feel that others wouldn’t want to experience it as well. Sometimes where you’re going isn’t as good as where you’ve been.